Sugar Gliders is a strategy board game for 2 to 4 players designed by Néstor Romeral Andrés and illustrated by Heather Cornelius (Squish) . 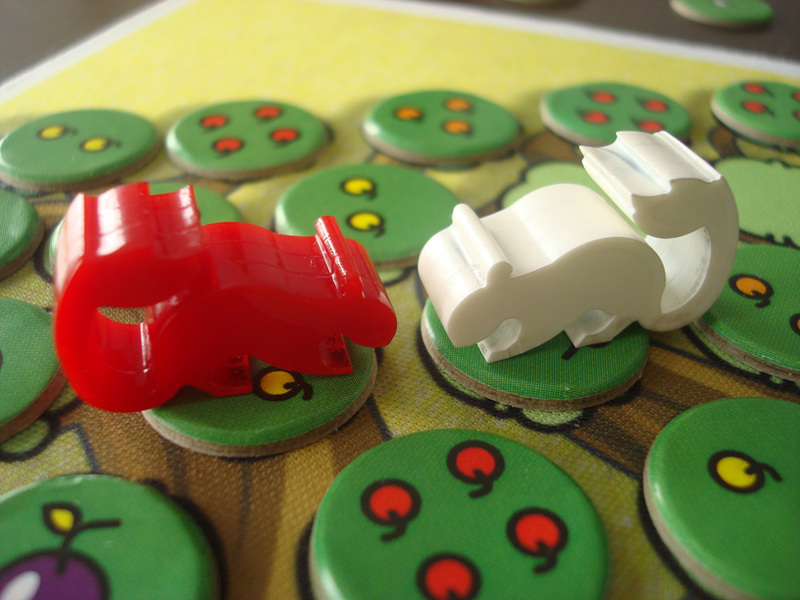 Each game lasts about 20 minutes. 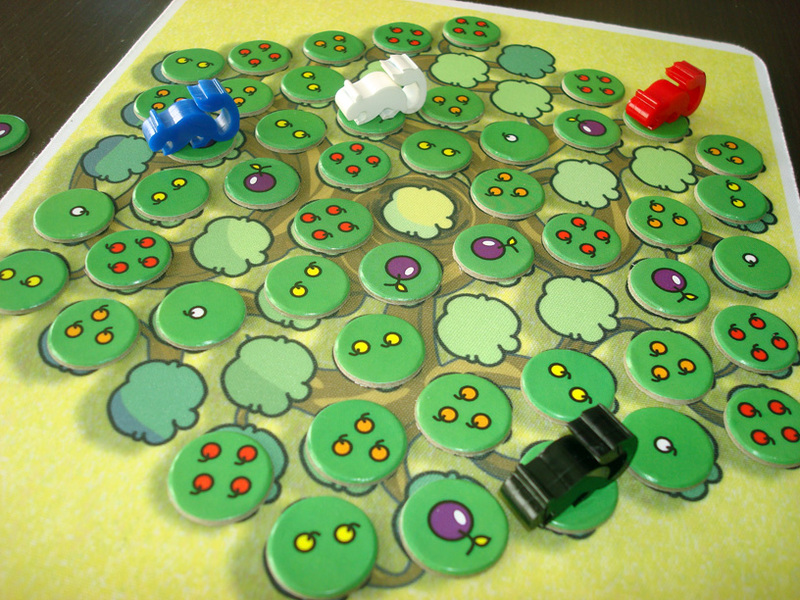 Each player has a sugar glider that has to collect as many fruits as possible by jumping from branch to branch. 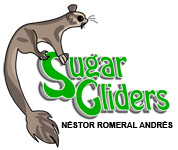 The sugar glider is a small marsupial that loves nectarous foods and tree sap. 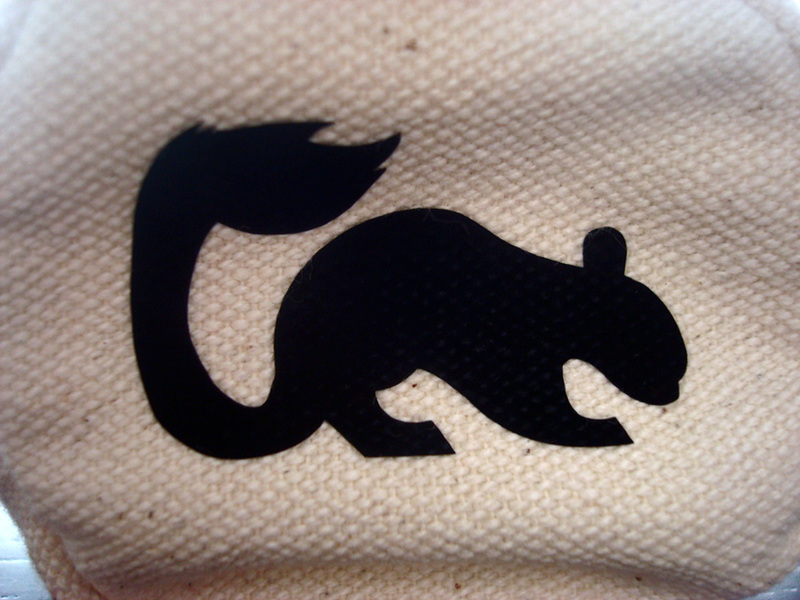 As its name suggests, it’s capable of gliding through the air, much like a flying squirrel. 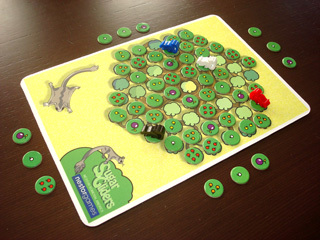 Components: Board, 4 sugar gliders in different colours, 60 cardboard rounded tiles, carrying case. "It reminded me of another game called Hey That's My Fish [...] but I like this one better" - Tom Vasel.